If you remember the sudden drop in temperature like we do, it was sudden and unwanted. The last slog of summer days were extinguished by the pinch of winter’s merciless cold hand, sending us all into fits of coughing and sneezing messes. After dusting off our neglected winter coats and itchy scarves we tend to reach for the quick over-the-counter chemical fix. However, a lot of us are recognising the long-term benefits of everyday natural foods in your kitchen. Homemade recipes can give your body a natural boost of energy and hopefully help get it back on the mend. The arrival of colder climes is often met, begrudgingly, with drier or cracking skin, especially the lips. If you suffer from this inconvenience, try our Beeswax lip balm. Disclaimer! We are not healthcare professionals and are in no means encouraging you to ditch the pills for a raw honey pot. We are simply opening up a window into the magical and soothing qualities of raw honey. This is an invitation for those of you who have curious appetites. 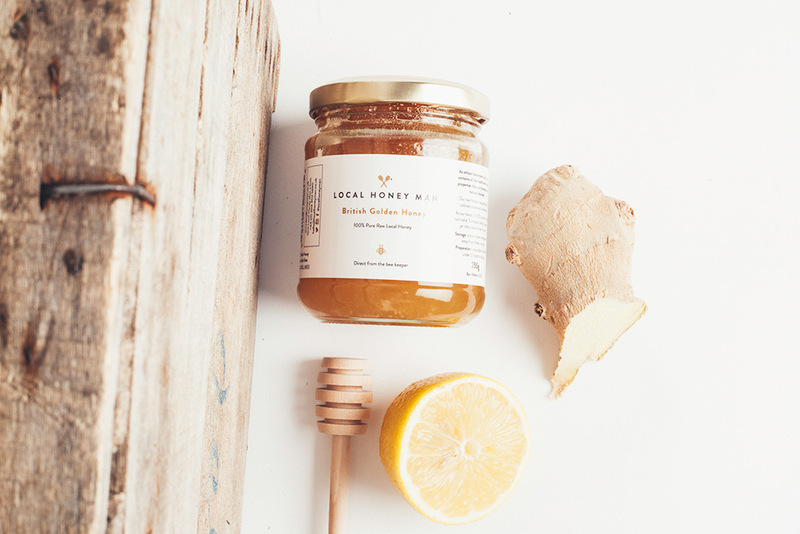 To help you get to the sweet bits faster, we’ve picked out the best winter inspired recipes that you can make using any of our raw honeys. Remember to let food be thy medicine.